Have you had a chance to check out the latest release from C.C. Designs?! If not, you HAVE to head over to the website and see! It is amazing! 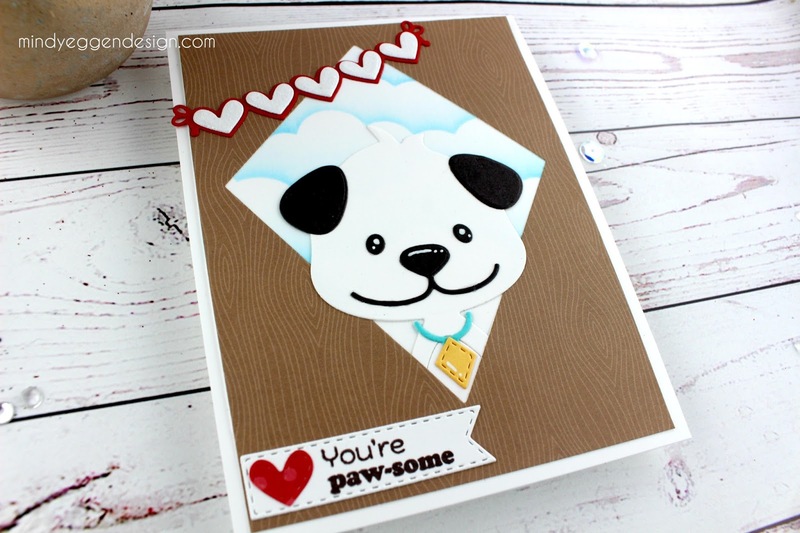 So many great stamps and dies to create fun scenes on cards or any projects actually. 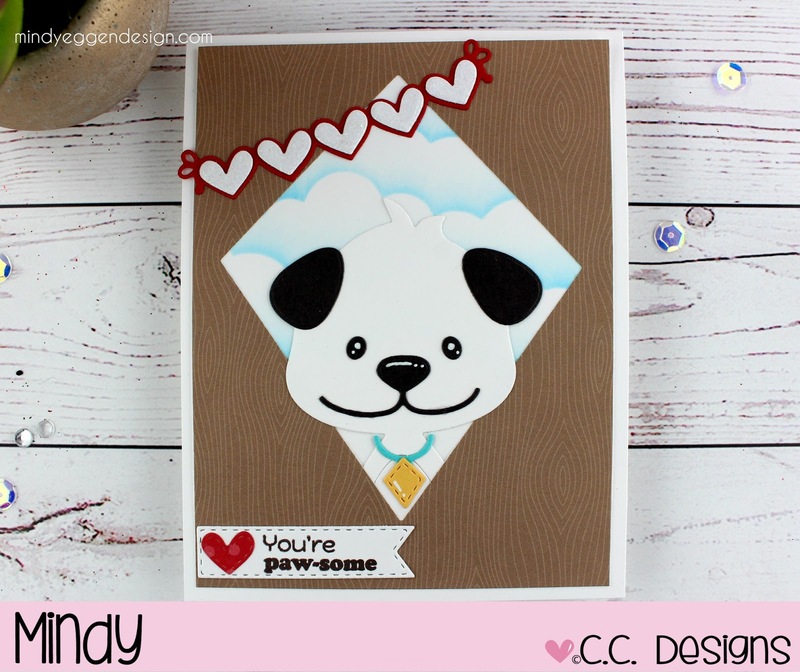 Today’s card is featuring the Puppy Accessories Die (plus a few others!) I started out by creating my puppy and adding a few white dots in the eyes with my white signo pen. For the background, I used a piece of Bristol Smooth cardstock and stenciled on some clouds using Broken China distress oxide ink (both of which are sold at C.C. Designs too!). Next, I took a piece of patterned paper from the Knock on Wood paper pack and die cut a diamond shape from the center. While I had my diecutting machine out, I also cut out the heart banner using red cardstock and glitter paper. Then I also cut out the sentiment banner and red heart. For the card assembly, I first tucked my puppy into the bottom of the diamond window. Then I attached this piece to the stenciled background. 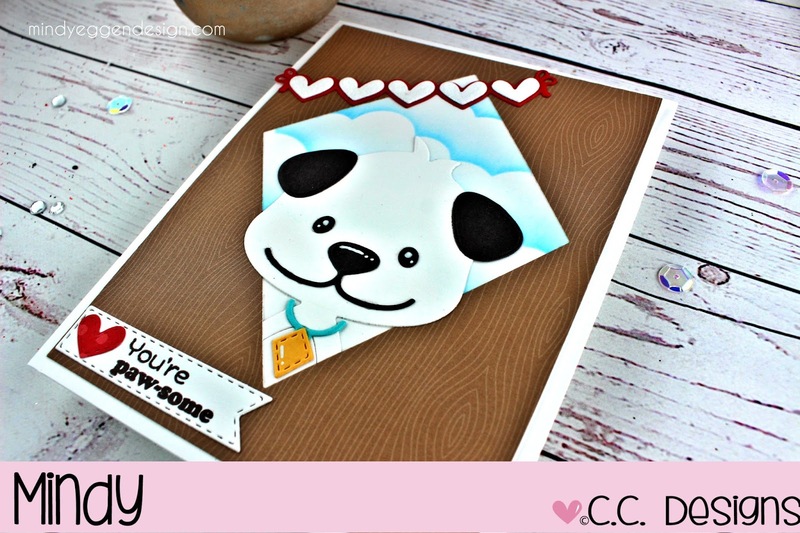 I used a sentiment from the Puppy Power stamp set and stamped that onto my sentiment banner. To complete the card, I adhered the panel down to a white piece of cardstock measuring 4 1/4″ x 5 1/2 and adding the heart and sentiment banner. Supplies listed below. Be sure to check back – I have something fun coming up soon! !